​Classes taught by our guild members and workshops taught by nationally known instructors are taught at our Triangle Fiber Arts Center all year round. Illoominations are member-led activities which may may have a nominal fee. These educational opportunities are open to guild members only. ​Many special interest groups meet on a regular basis to study specific topics. Most of these meet at our Triangle Fiber Arts Center, although some meet at other locations. 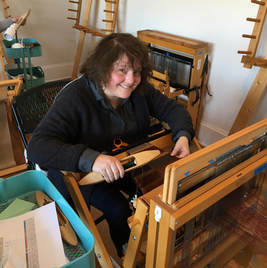 ​The guild boasts many teachers who, besides teaching classes at the Fiber Arts Center, also teach private lessons. During the year guild members participate in a variety of Challenges & Exchanges which are optional fun learning experiences. ​Learn more about using the website on your smartphone or tablet.